The Ayam Cemani has certainly had people talking excitedly about it over the last few years. It is a totally black bird – inside and out, so as you can imagine it has been associated with the Dark Arts especially in its’ own country of Indonesia. At the current time they remain a pretty rare bird and are very hard to obtain (reputable US breeders are sold out until 2019!). 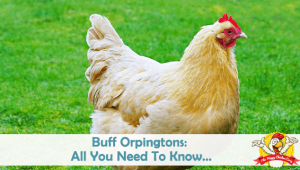 In this article we are going to take a close look at these interesting and unusual birds and help you figure out if you need them in your flock! The beginnings of the Ayam Cemani are vague to say the least. It possibly originated in Sumatra where the original breed is now extinct. The Ayam Cemani is often associated with a group of breeds known as Kedu, from the central plains of Java. It is believed to be an offshoot of the Ayam Bekisar chicken which lives on a small group of islands in Indonesia. The Ayam Bekisar originated from matching the green jungle fowl with some domesticated red jungle fowl. This was a tricky process as certain crosses will be infertile. Interestingly, this group of fowl has a very distinct crow, and was used by seafarers as foghorns on the boats – a practice still used today. 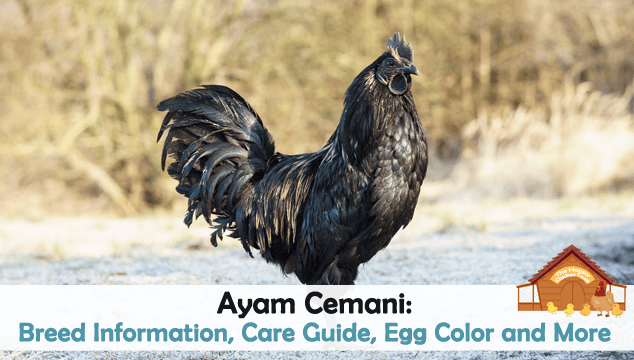 Even the name has confused meanings: Ayam means chicken in the Indonesian language, but the name Cemani can either mean the ‘village of Cemani’ in local dialect or ‘solid black’ in Sanskrit, you can take your pick. It is said by some folks to be a landrace bird, but there is evidence that it was a developed breed at some point. It is not a chicken of the ‘common’ people. People of wealth and community standing have these birds as status symbols and take great care of them. They are thought of as good luck charms, with the blood and other parts of the bird being used in traditional medicine preparations. The Ayam Cemani is said to have magical powers and can facilitate communication between the living and the spirit world. As such, it is used as a sacrificial bird to please the gods, its’ flesh is rarely eaten in Indonesia. They were first imported to Europe in 1998 by a Dutchman named Jan Steverink. Ayam Cemanis are a striking sight. Their all black feathers have a beetle-green iridescence in sunlight that is stunning. They are not an overly large fowl; the boys weigh in around 4.5-6.5lb, with the girls coming in at 3.5-4.5lb respectively, so more of a medium sized bird. In appearance they are strong and muscular with close fitting feathers, not unlike a game bird. They strike a confident pose and are always alert. 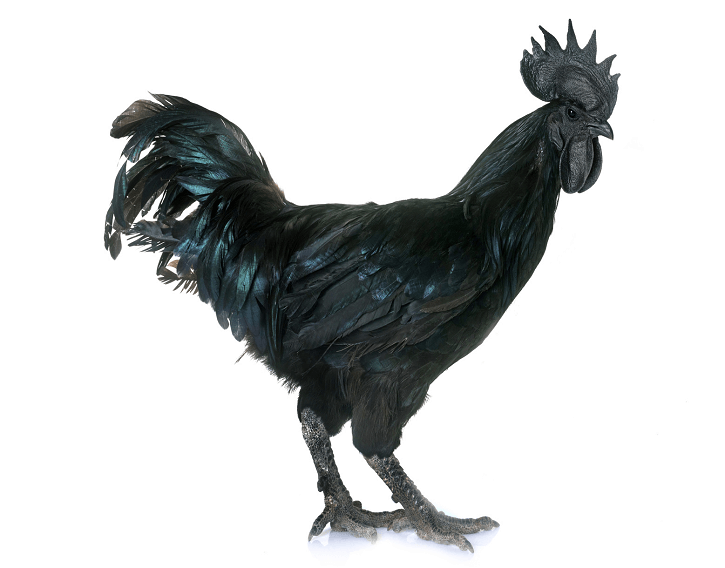 As of now, the Ayam Cemani is not recognized by the American Poultry Association. 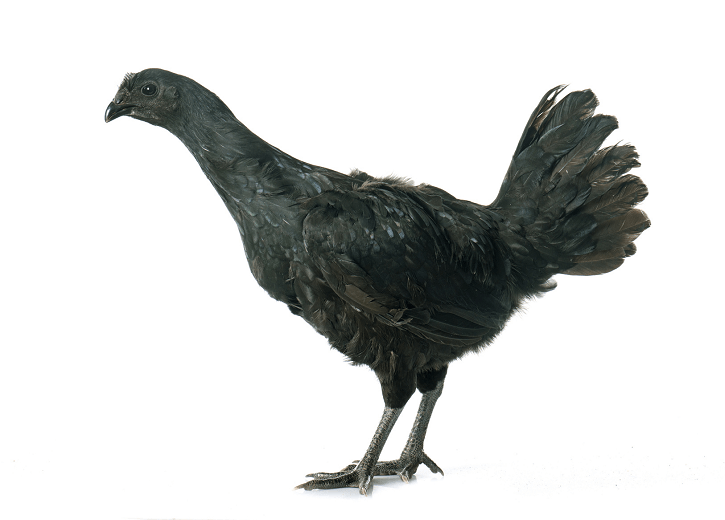 The US Ayam Cemani club is currently working on a standard of perfection for this breed. The body is of medium size, slim, firm and muscular. It will have a fairly broad breast and a medium back which slopes from the neck. The wings are long and strong arising from wide shoulders. The tail is held moderately high. Thighs are powerful and muscular. The bird should have 4 toes to each foot. Feathers are all black and are close fitting to the body. Skin, eyes, wattles and comb should all be black. No other color should be seen. The feathers may show a beetle-green to purple iridescence in sunlight. Cemanis in general seem to be a friendly and likeable bird. They are intelligent, gentle and docile – including the roosters. They have been described as flighty, but most people who have them or raise them say this is not so. They are an easy to handle and low maintenance fowl. They are quite winter hardy shaking off the Vermont winters easily when given the appropriate housing and shelter. Since they originated in Indonesia it will go without saying that they can tolerate heat pretty well also. The Ayam Cemani is a fairly poor egg layer. On average they will lay around 80 eggs per year which is around 1 egg per week. They do seem to go ‘off lay’ for an extended period of time. Apparently they will lay 20-30 eggs and then stop laying. This can be up to 6 months, and then they will start all over again! 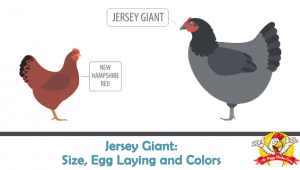 In comparison to the size of the hen the eggs are quite large and they are cream colored with a very slight pink tint (not black). I have seen several photos that show black eggs – rest assured these are fake eggs. Some folks state they aren’t broody and yet others say they can be broody. This may be due to differences in the blood lines obtained. They tend to make good mothers and care well for their chicks. There aren’t any health issues that I could discover, but this is a good place to describe the fibromelanosis of the Ayam Cemani. The bird has a mutant fibromelanistic gene – a gene that deposits excessive black pigment. This abnormal accumulation of melanin makes the skin and tissues appear black. This genetic trait is only carried by three other birds – the Silkie, the Svart Hona from Sweden and the Kadaknath – a chicken of the Madhya Pradesh region of India. The blood is red but said to be darker than normal although the bone marrow is black. In all other aspects the Ayam Cemani is a healthy and robust bird. It does not seem to be prone to any particular chicken ailment. If you would like to add a couple of these black beauties to your flock, you had better save your pennies. An unsexed chick from them will set you back $199.00 or a sexed juvenile is a cool $400.00 – not for the faint of heart or anyone short of funds! Of course, you can get cheaper birds but they will usually be of inferior quality – as always, buyer-beware. Described as friendly but not particularly ‘cuddly’, so it is not really a lap chicken. They will take feed from your hand so they certainly are not stand-offish with people. Many people buy them as pets or eye candy – they certainly are unusual and noteworthy. 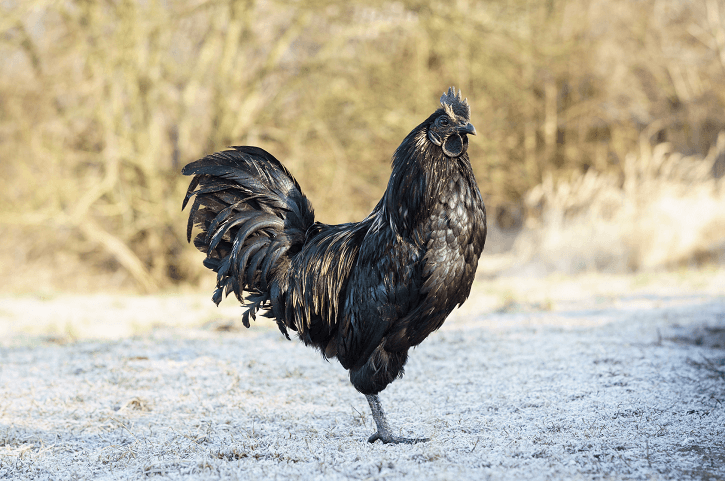 The Ayam Cemani has probably been around for a hundred years or so at best guess, but has only come to the attention of chicken lovers fairly recently in the 1990s. Since that time they have captured the imagination and hearts of many folks. Contributing to the rareness of the bird is the ongoing threat of Avian Influenza. As much of the breeding stock comes from Indonesia, the US importation restrictions are severe in order to try and prevent further outbreaks of the disease. Why doesn’t my rooster crow in the mornings? But he acts happy. Do roosters always crow because my rooster never crows. He did when I first got him then he got sick. We got him better. But he never crowed since. I believe they are all different some crow others not so much. You are welcome to mine who seems to think he is a dog and crows every time he hears me or sees me no matter what time of day it is or night. I love my Ayam Cemanis! My rooster is hilarious and makes Kookaburra noises to tell his hens where the good stuff is. My Cemani’s always act like they are starving when I feed them in the morning and afternoon. I have tried everything I can think of to get them to not gobble it all up at once and changed their feed and dish but nothing works.. any suggestions?? It’s just what animals do and you shouldn’t worry about it. When you say you feed them in the morning and afternoon, it makes me wonder why you don’t just put their feed in a fairly large feeder so they can eat whenever they’re hungry. They won’t overeat. what feed should i give to the Ayam cemani? We call ours velociraptors! They run like tiny dinosaurs and sound like them too! Has anyone ever heard of cemani’s being aggressive? I have 5 juveniles that I put into the coop with my cemanis to incorporate them in and I came out to find three of them with their heads pecked and bloody. I am totally disturbed I’ve never had this happen with my other feverole chickens. We integrate ours slowly. They’re separated with fencing for a while so they can get close but also get away from each other if needed. Once they have interacted this way for a few daysbwe remove the fence. We sprinkle mealworms (or some other favorite treat) on the ground so they eat together. If there is any agression we put the fence back up and try again the next day. We do this until they are good with each other, then we just let it be. After a couple days of eating and roosting together they seem to bond and establish the pecking order. However, we don’t try any of this until the chickens are similar/close in size. 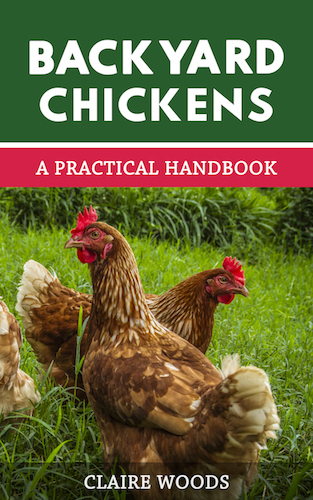 I so love these chickens and would be a great addition to my funny hobby farm. I am from Canada are there any up here. I live in Texas and have been trying to find some. Where can I get some of these beauties? When a Cemani hen lays an egg it cries, “Look look look what AH did!” ha-ha-ha!